Harford Bunkhouse & Camping offers comfortable budget accommodation on the edge of South Dartmoor. An ideal choice if you are planning to start the Two Moors Way walk from south to north. Run alongside a working Dartmoor farm, the bunkhouse offers dormitory style accommodation with bunk beds in each of the rooms. A kitchen, large seating area, toilets and showers are all within the bunkhouse. The campsite is divided between two of the farm's meadows. Campers can use the toilets and showers located within the bunkhouse buildings. Facilities include a wash-up area, drying room, laundry facilities and disabled access. There are also two camping pods and a cabin in the meadows. 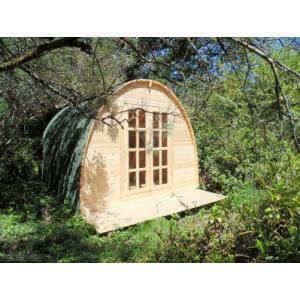 These sleep up to 6 people each and have the same facilities as camping. Small campfires and BBQs are allowed at the farm's discretion. Children and dogs welcome. This accommodation is featured on our map of Devon, Cornwall and the West Country and here is its own website. From Ivybridge take Harford Road. Bunkhouse is 1.5 miles from Ivybridge in The Dartmoor National Park. Train or bus to Ivybridge (30 mins' walk). This accommodation allows dogs by arrangement, is in a National Park, is available to individuals and is on the The Dartmoor National Park & Exmoor National Park map and the Hostels with Camping map. 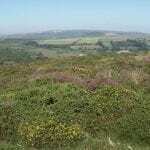 Walkers find heaven on Two Moors Way walk. Our Bunkhouse offers comfortable, budget accommodation on stunning southern edge of Dartmoor. Our Hostel is perfectly situated to give you an ideal position to approach, or to rest during, the Two Moors Way Walk, which is loved by all walkers. 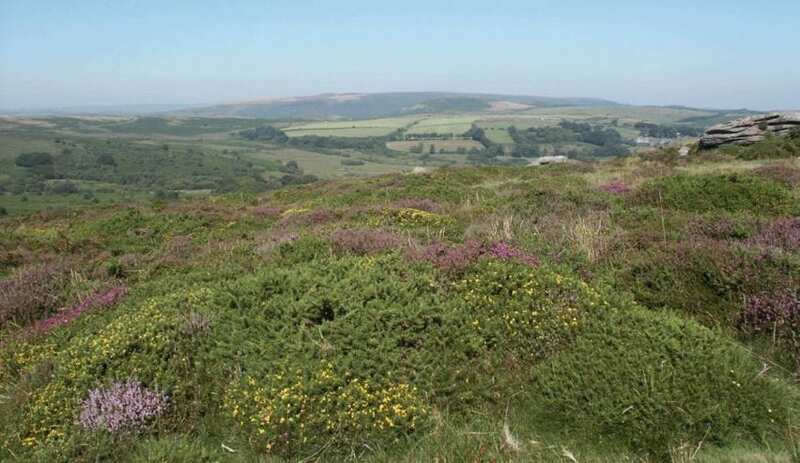 The Two Moors Way is a long-distance walking route between Ivybridge on the southern edge of Dartmoor and Lynmouth on the North Coast of Exmoor. It has a total length of 102 miles (163 km), making it an ideal week’s walk. Are you up for an adventure? Set in the stunning South Devon countryside, Harford Bunkhouse offers camping, pods and barn accommodation. The converted milking parlours – call them shippens if you want to sound like a local – can house between 4 and 20 people in dormitory – style rooms. They are surrounded by a vibrant working farm with all the livestock and charming bustle you’d expect. Also, look out for the peacocks! 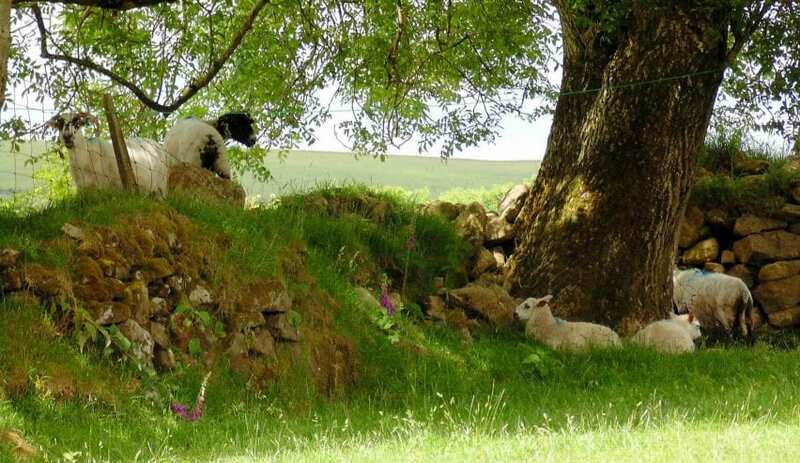 The camping field is surrounded by the amazing moorland and frequented by the odd sheep or chicken and the glamp-y sleeping pods are cute and comfortable if you are less adventurous but still want to have that experience of waking up to fresh countryside. 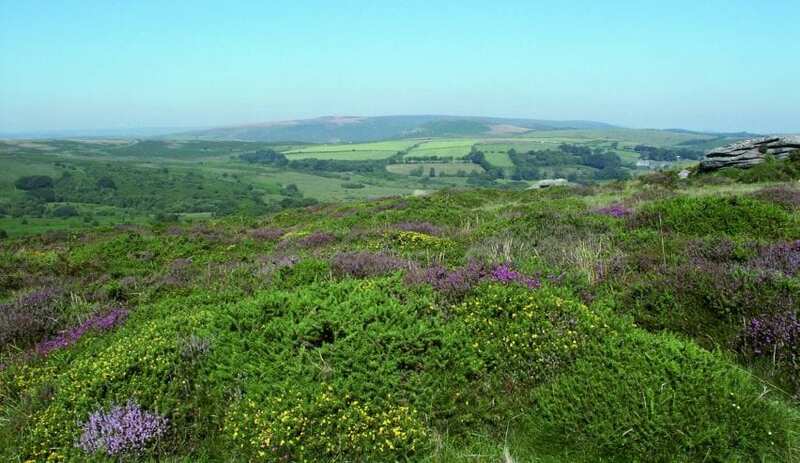 Within the Dartmoor National Park and in striking distance of the Tamar Valley and South Devon AONBs, it’s a great place to explore the countryside by walking or cycling. Sit back and unwind on the balcony of your own pod ad let your stresses drift away. Harford Bunkhouse and campsite has camping pods for hire. They are surrounded by flowers and trees along a rustic path, in the most tranquil and peaceful part of the estate. Each pod sleep up to 6 people and they have a communal fire pit and BBQ area.